I've a special festive treat for you today. This failsafe recipe is an absolute MUST MAKE this Christmas - if you're a fan of a cheeky Irish Cream then you'll adore this homemade version. Not only does it taste infinitely better than the shop bought varieties, it only takes about 15 minutes of work to complete and it works out at a similar price to the popular brand-name too! 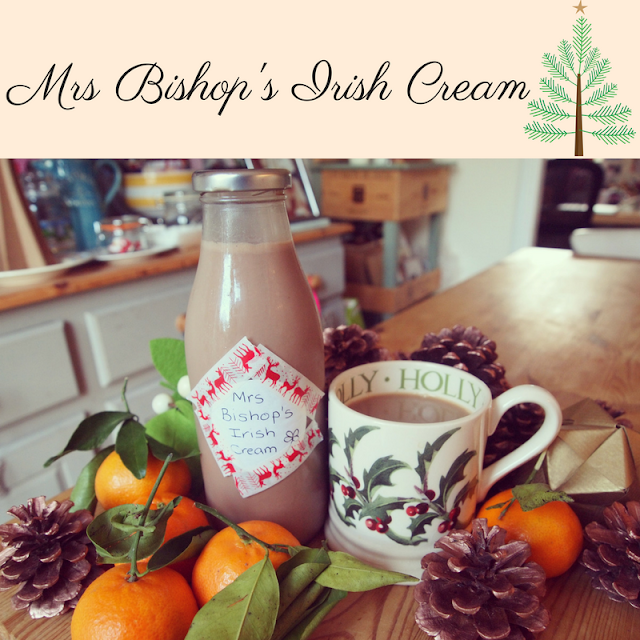 How impressive to be able to offer a homemade Baileys, or super-special Irish Coffee to family and friends this year? Why not make some to give as a gift to someone special this festive season? 1) Firstly, you need to sterilise your bottles - do this by rinsing in hot, soapy water, then popping through my dishwasher, before placing on a baking tray in a hot oven for 10 minutes. Let the bottles cool before you decant your finished Irish Cream into them. 2) To make the Irish cream pour all of the ingredients into a blender, food processor or smoothie maker (a Nutri-Bullet or stick blender would do the trick too!) and blend on high speed for 30 seconds. Taste and add extra chocolate/coffee/vanilla/almond essence depending in your personal preference. 3) Pour into your sterilised bottles, label and place in the fridge to chill. 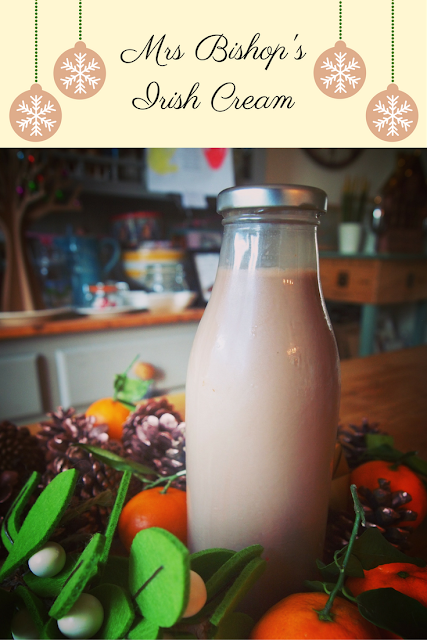 4) Shake well before you serve in a glass over ice, or add a splash to your favourite coffee for the perfect festive treat! Do let me know if you give this a go - tag me in your pictures @lucybishop2012 I'd love to see you all enjoying this delicious treat this Christmas.